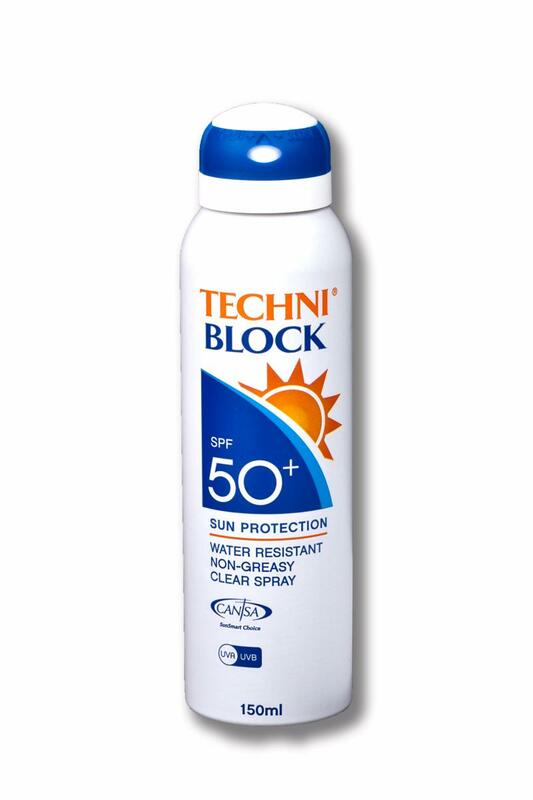 Techniblock SPF 50+ is a non-greasy, non-sticky, very water resistant sun protection aerosol spray. It actually has an SPF rating of 61 so is highly suitable for very fair skin that burns easily. 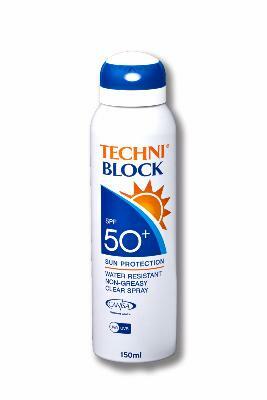 Techniblock® dries instantly on the skin to provide an invisible UV barrier and contains photo-stabilisers to boost performance. Protection is delivered in a cooling, continuous, clear aerosol spray that works upside down and provides simple and effortless all over application that really lasts! 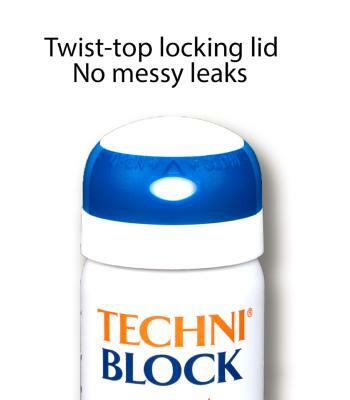 Free from oils, emulsifiers, colourants, parabens and perfume, Techniblock will not block pores or irritate even the most sensitive skin, significantly reducing or even eradicating the symptoms of skin rash and prickly heat. A single application can last all day without the need to re-apply, providing great value for money. It does not contain oils or emulsifiers, ingredients that traditionally break down in water, which makes it an extremely water-resistant sunscreen. Techniblock has no expiry date because it is and aerosol and is packaged in a sealed and pressurised airtight container, meaning no waste and no risk of spillage in the bottom of your beach bag! Developed and manufactured to world-class standards by Technikon Pharmaceutical Laboratories in South Africa, Techniblock provides broad spectrum protection UVA/UVB. It has an equivalent Boots 5* rating and is fully compliant in line with EU legislation for sunscreens so you can trust that it will keep you safe in the sun. Non greasy.easy to use.fast delivery.